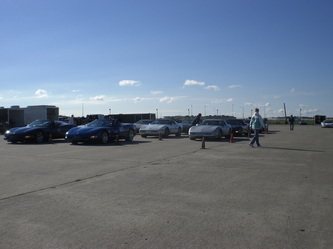 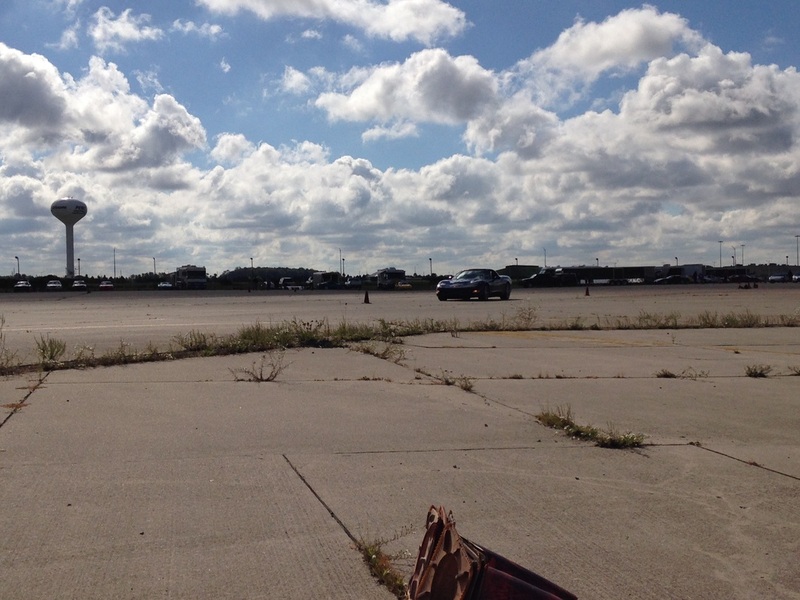 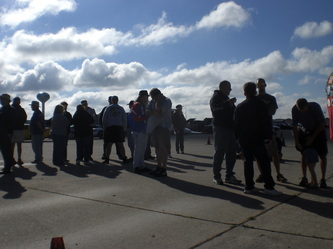 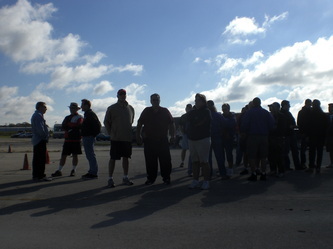 There were 60 cars I believe it was a great turnout for driving but not for working. 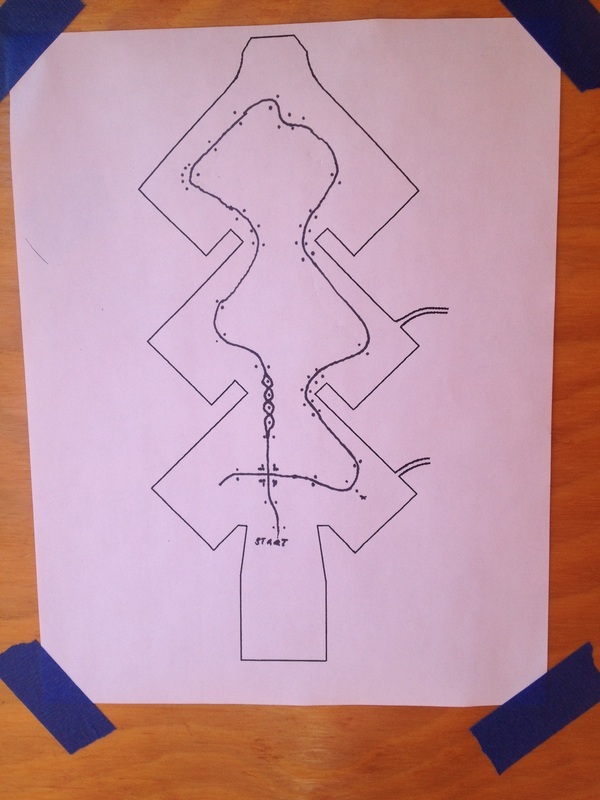 The course layout was awesome!!! 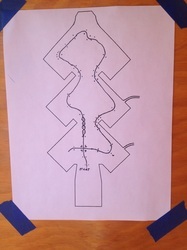 It was reversed from all previous setups with a crossover at the end. 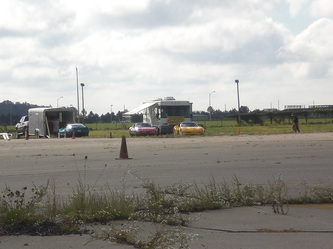 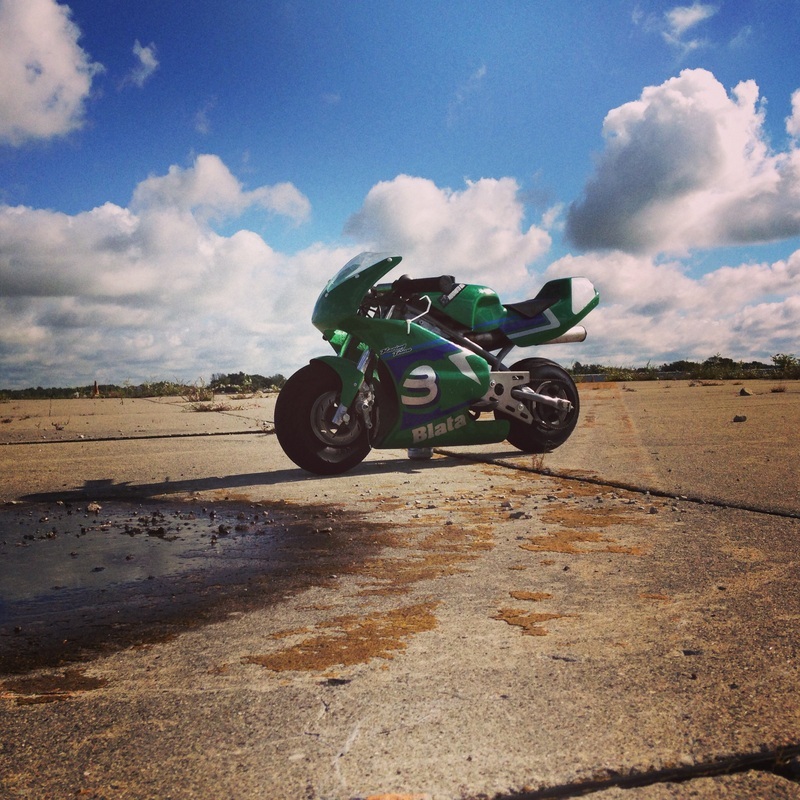 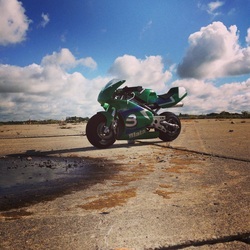 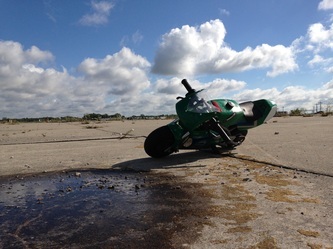 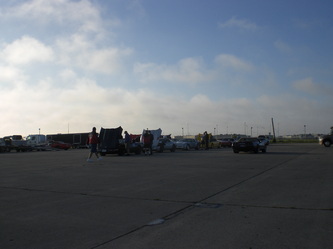 A technical course. 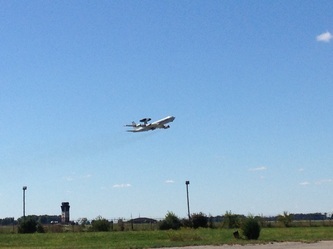 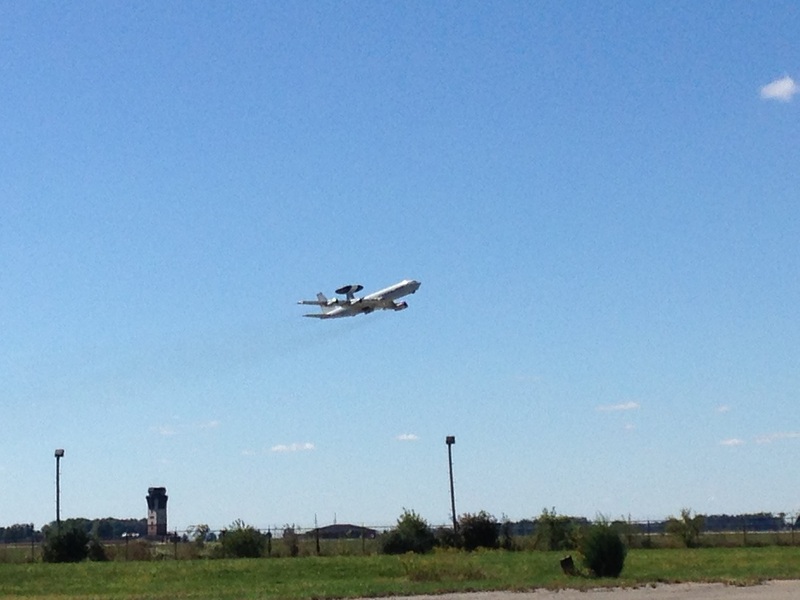 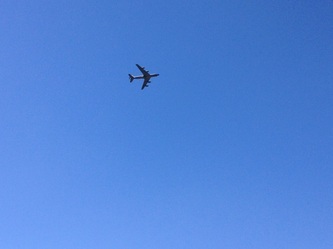 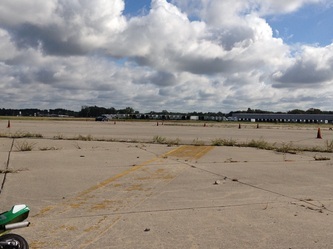 I heard several people say this was a drivers course. 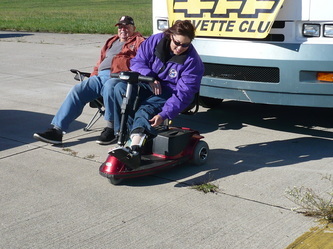 We had pizza dinner at the museum Saturday night.We had a new club member that came out to race his first time at Grissom and he ran over his foot while pushing his car and broke both bones in his leg. 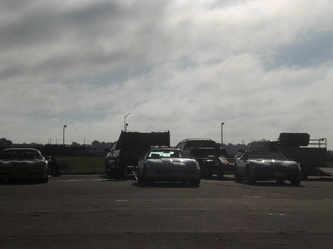 Between him, Checker, and myself we are becoming the Lafayette Crippled Corvette Club! 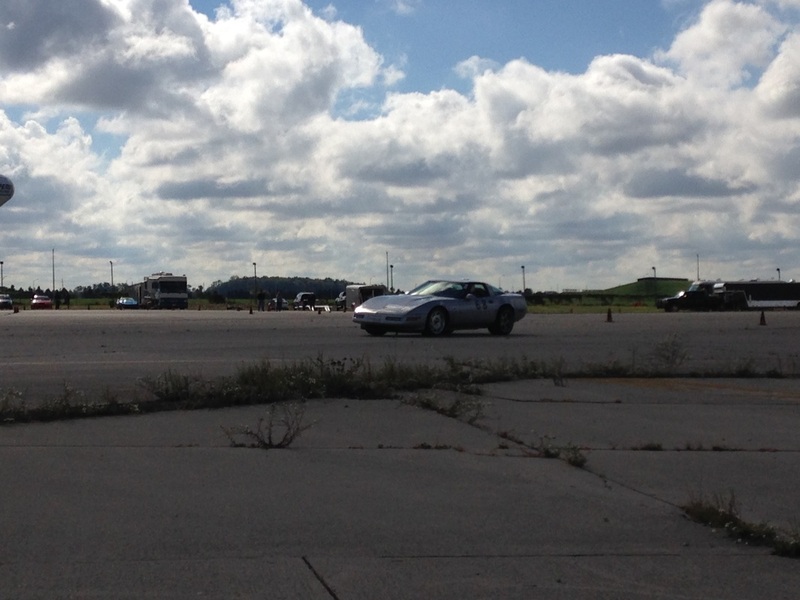 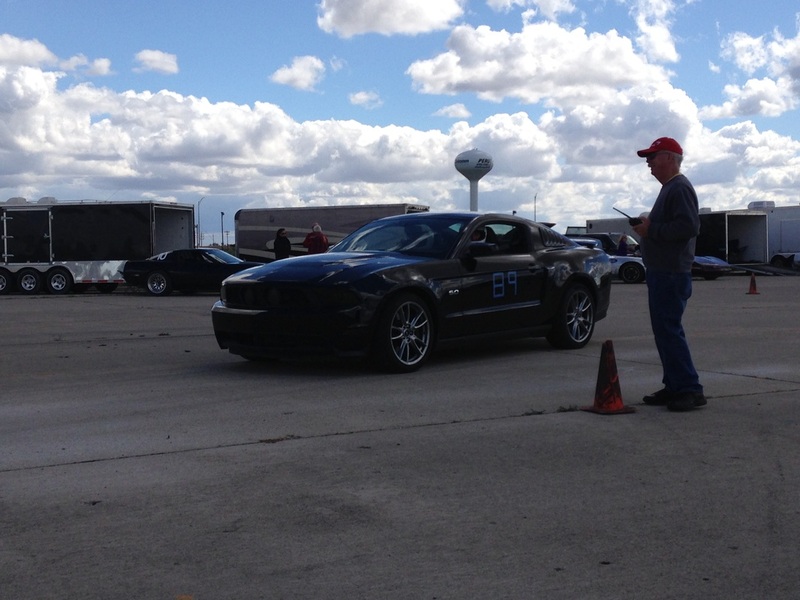 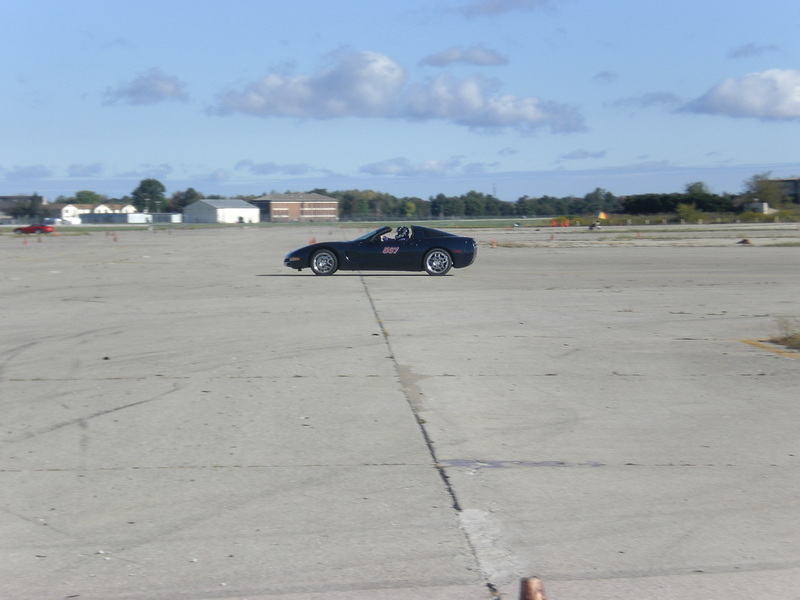 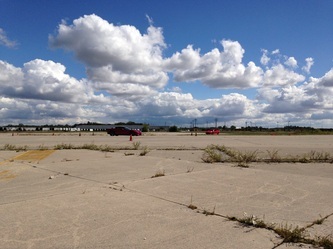 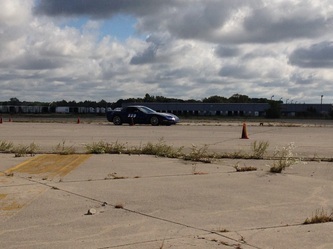 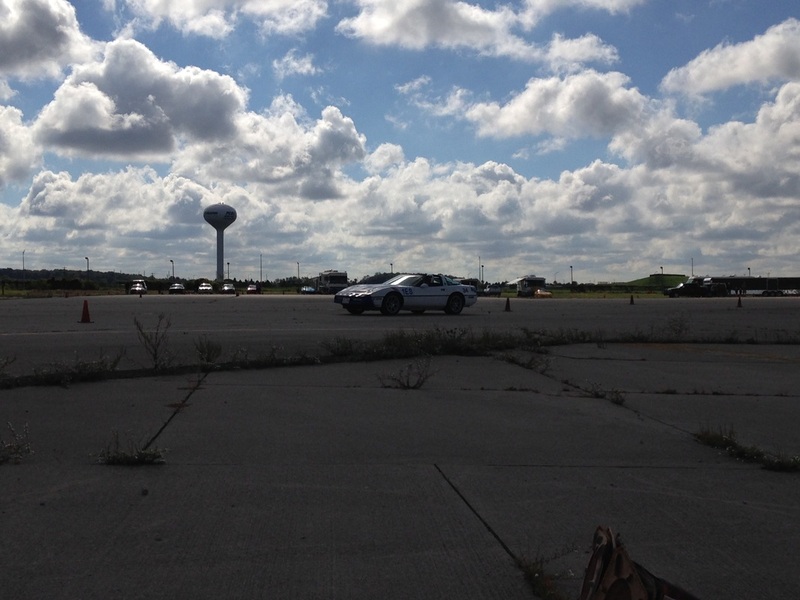 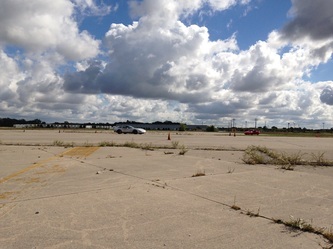 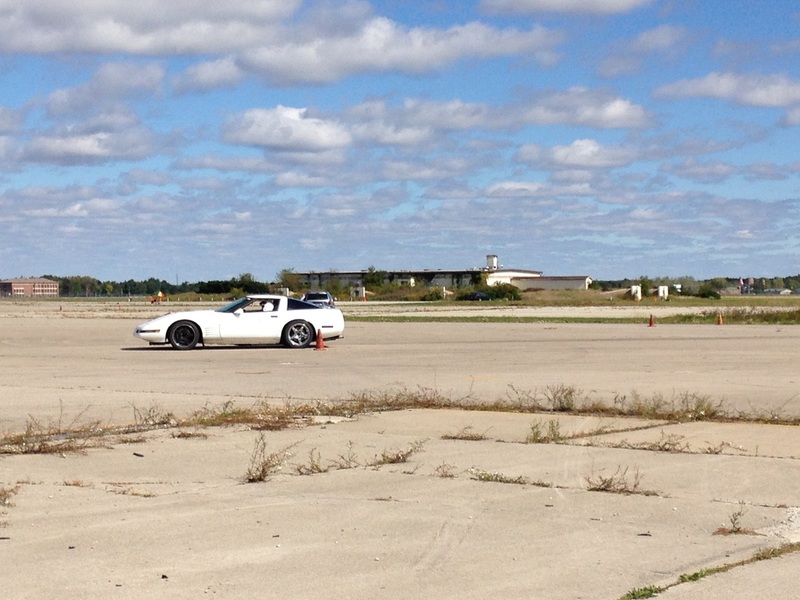 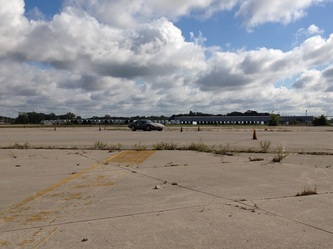 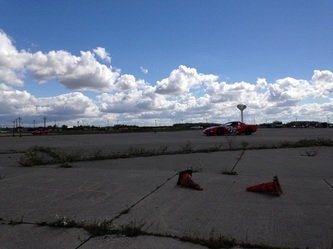 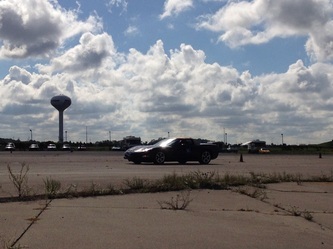 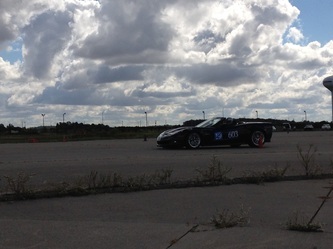 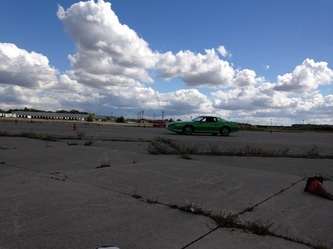 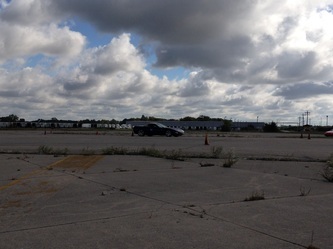 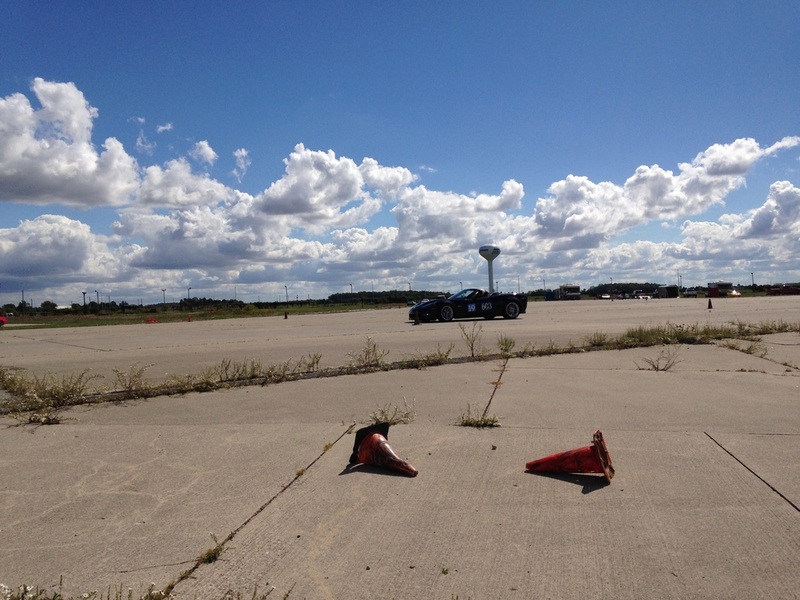 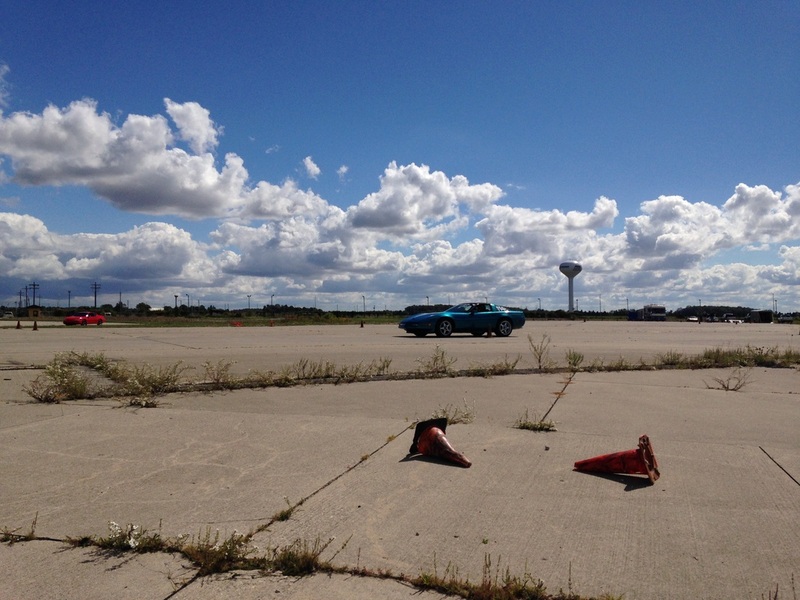 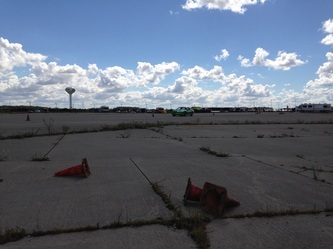 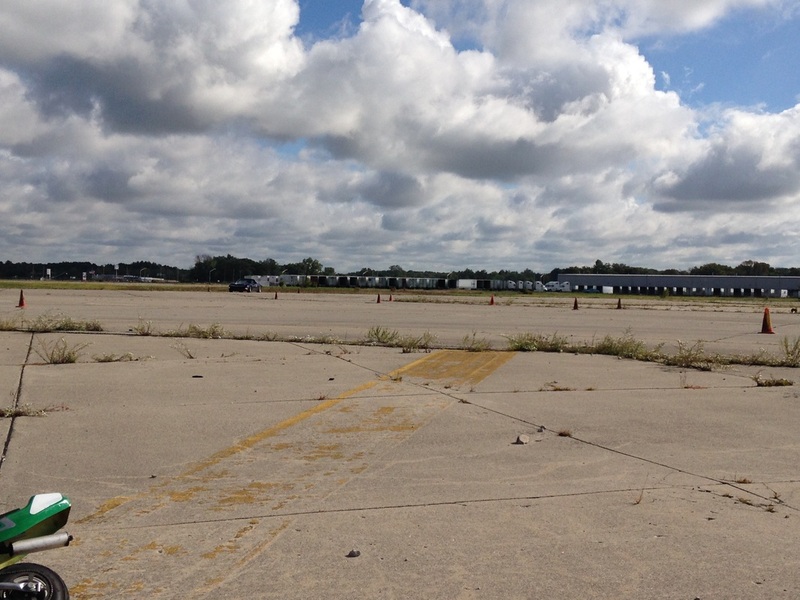 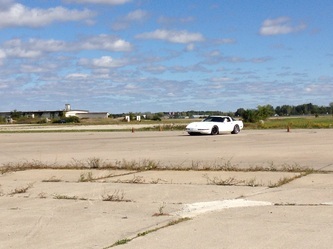 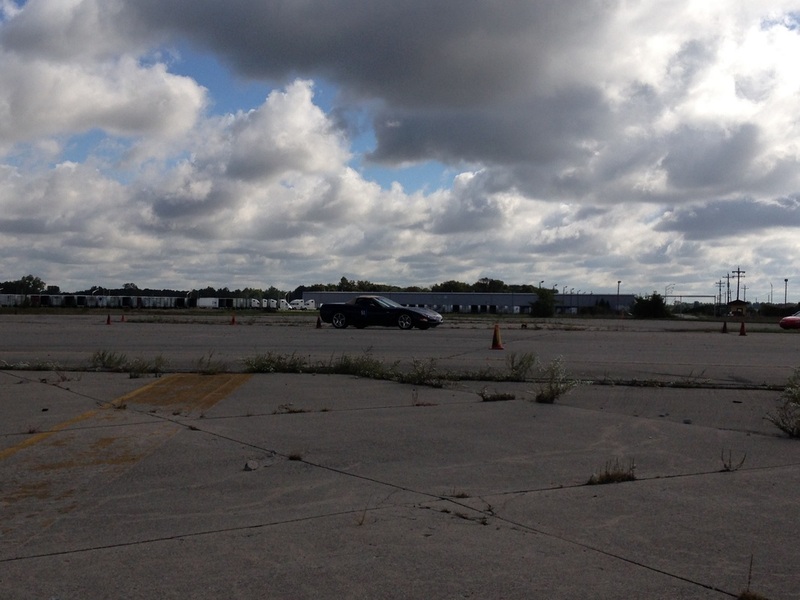 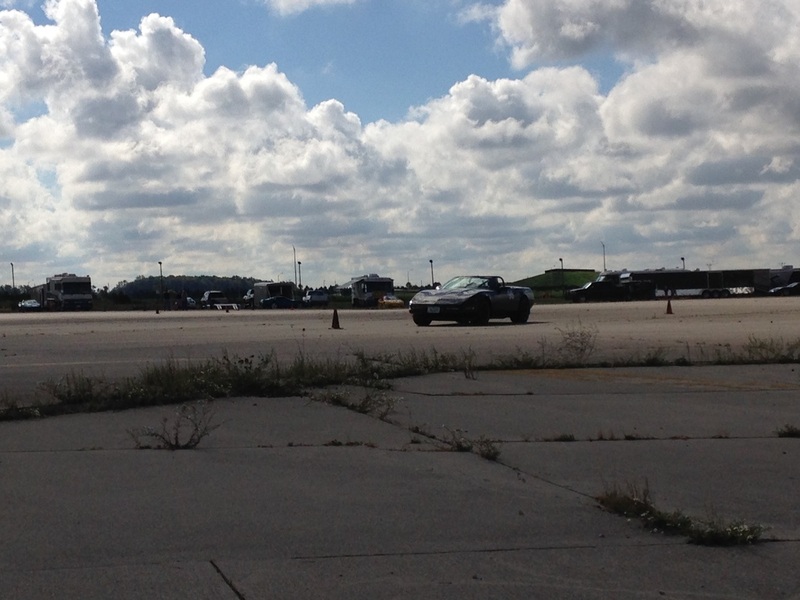 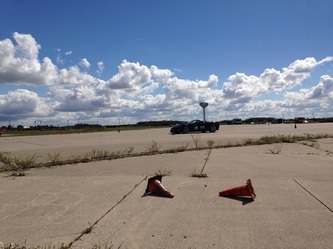 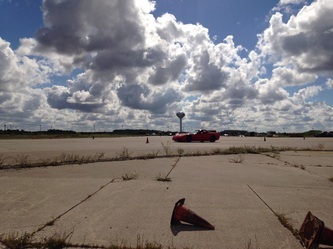 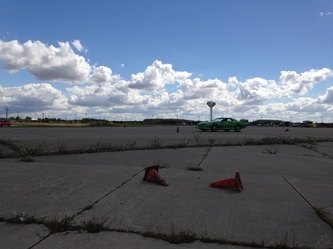 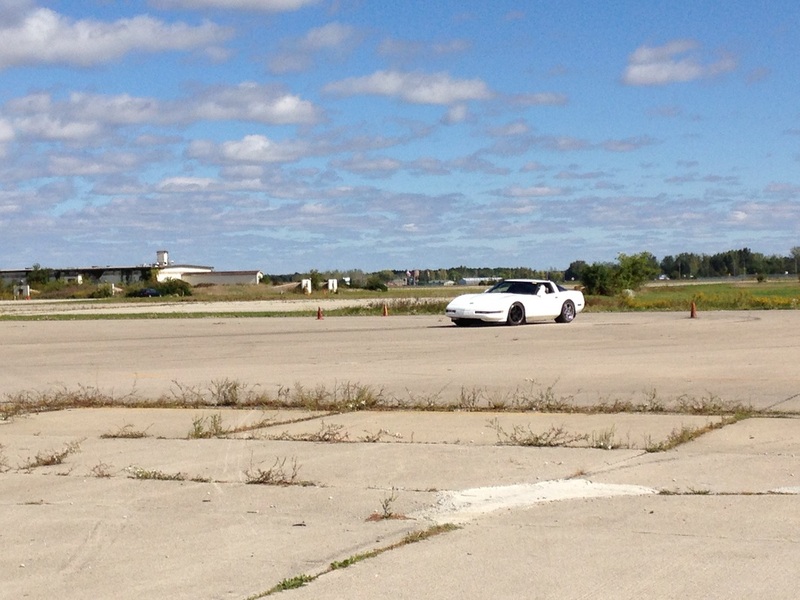 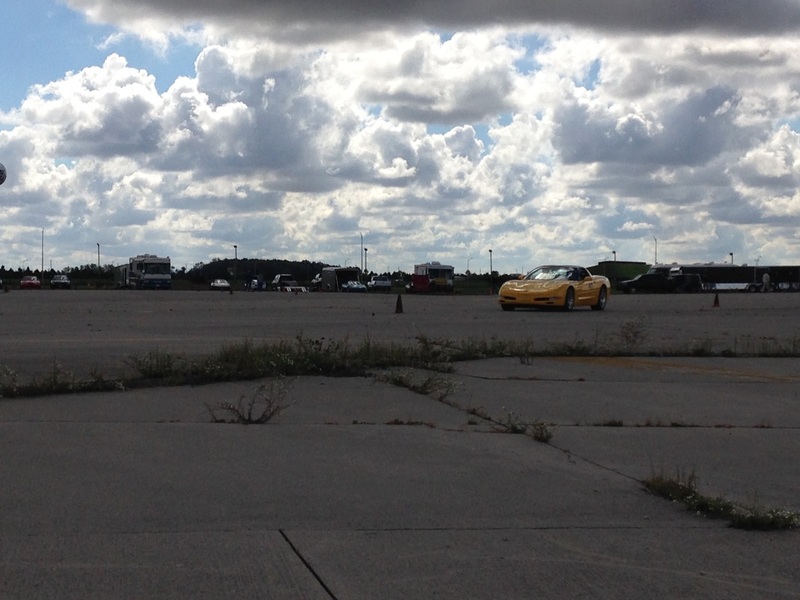 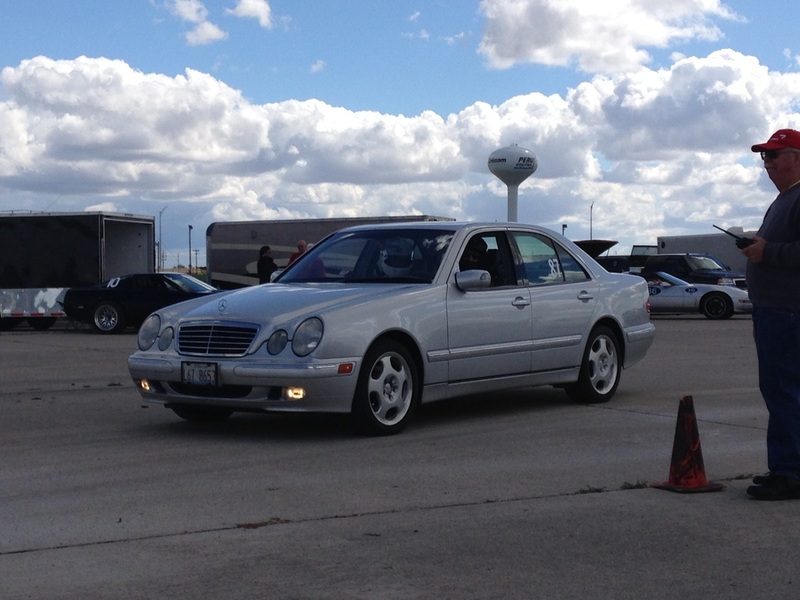 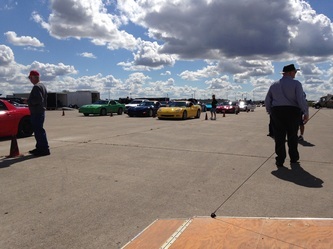 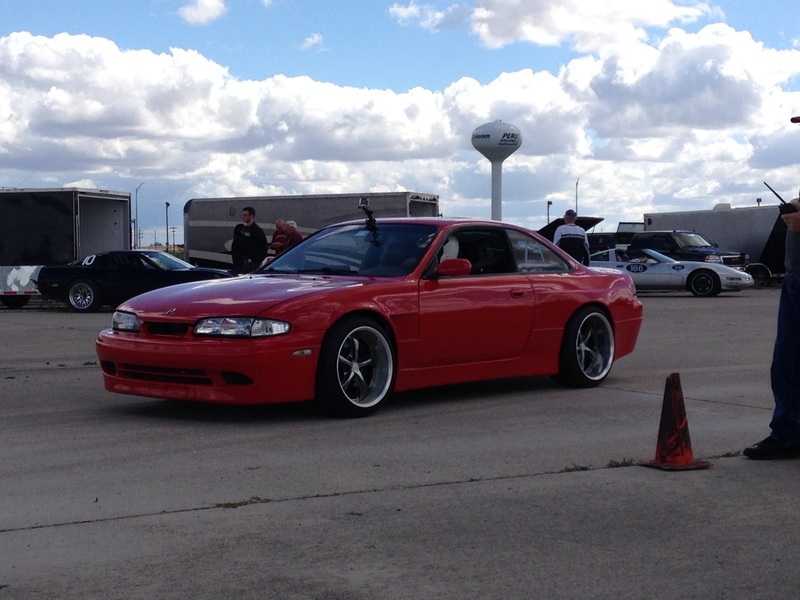 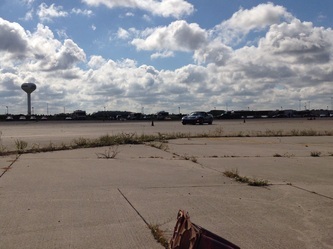 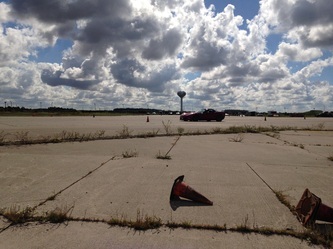 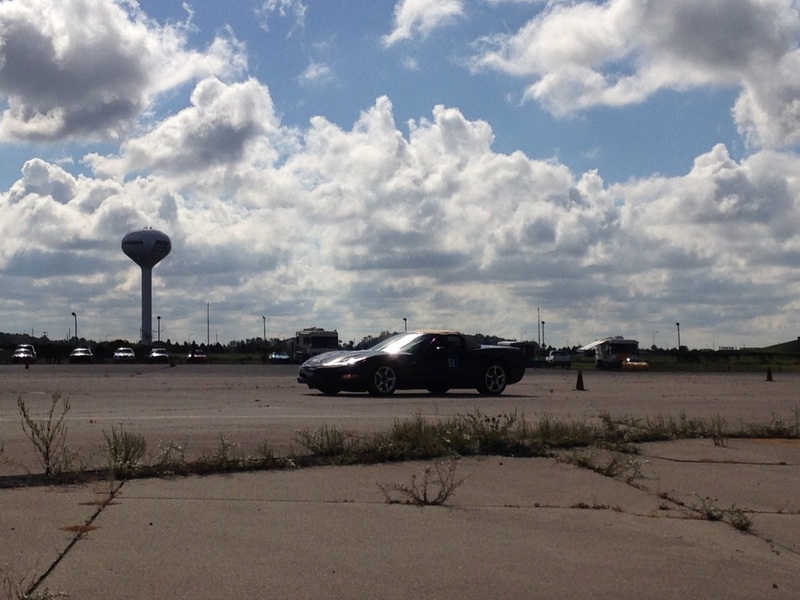 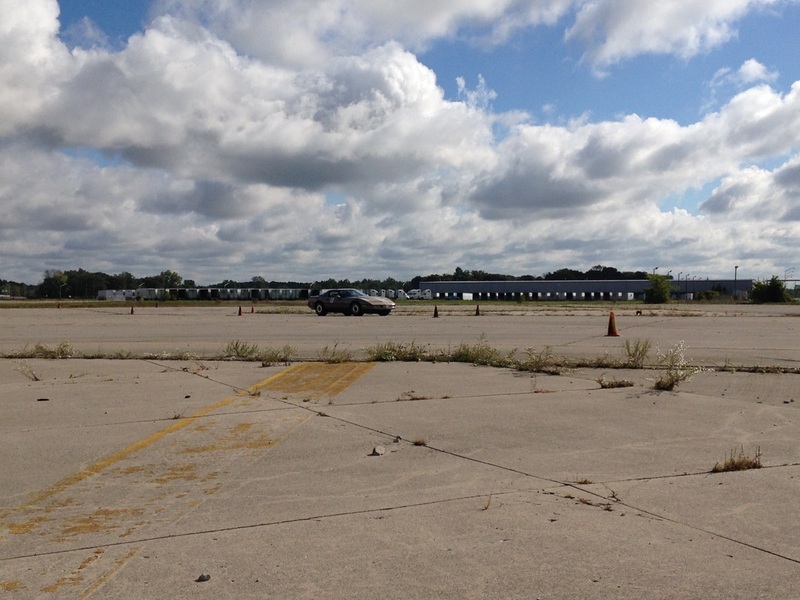 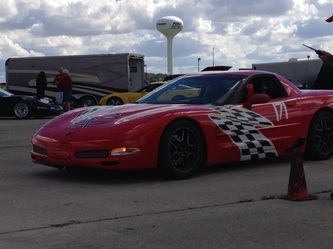 I did get to race Sunday though as Cindy let me drive her automatic car! 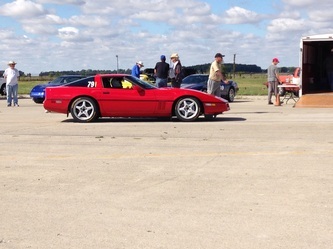 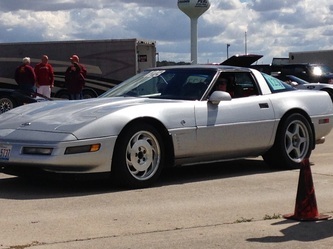 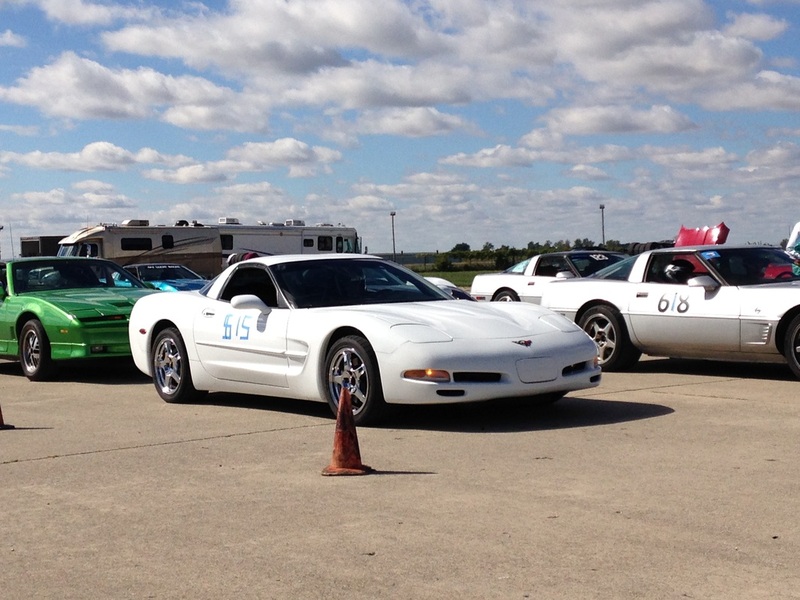 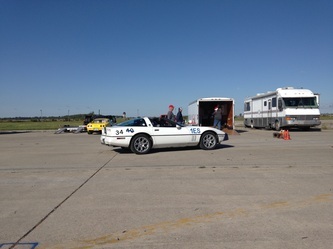 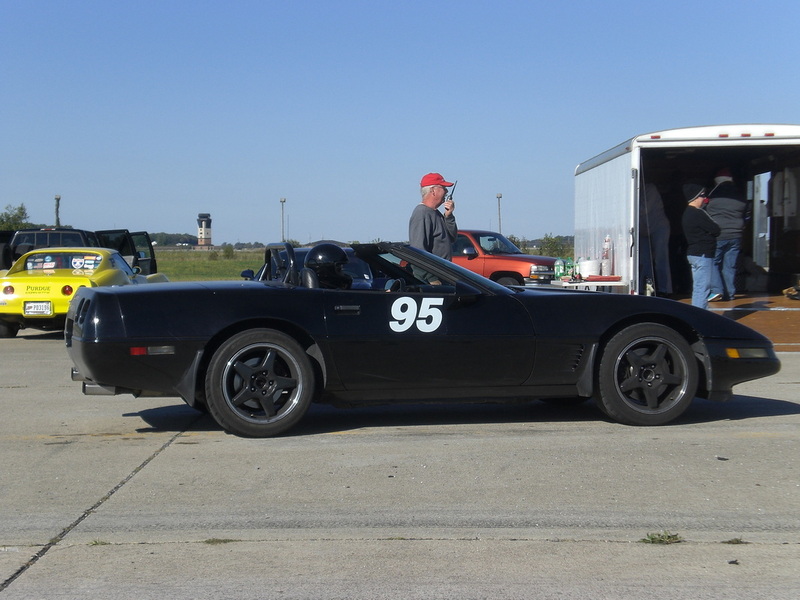 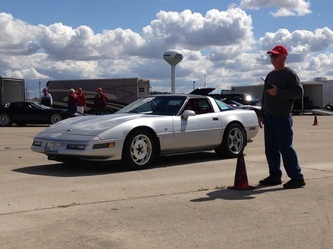 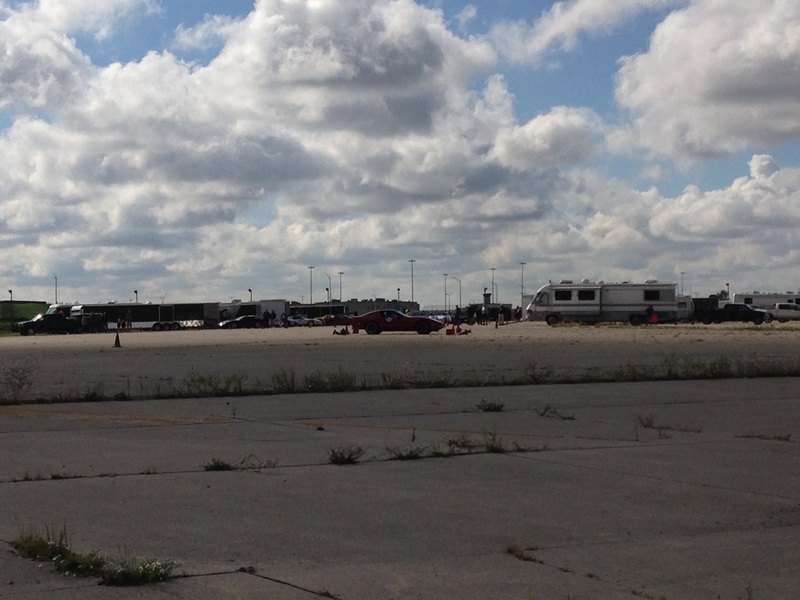 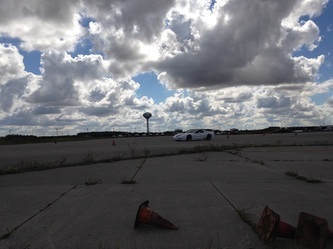 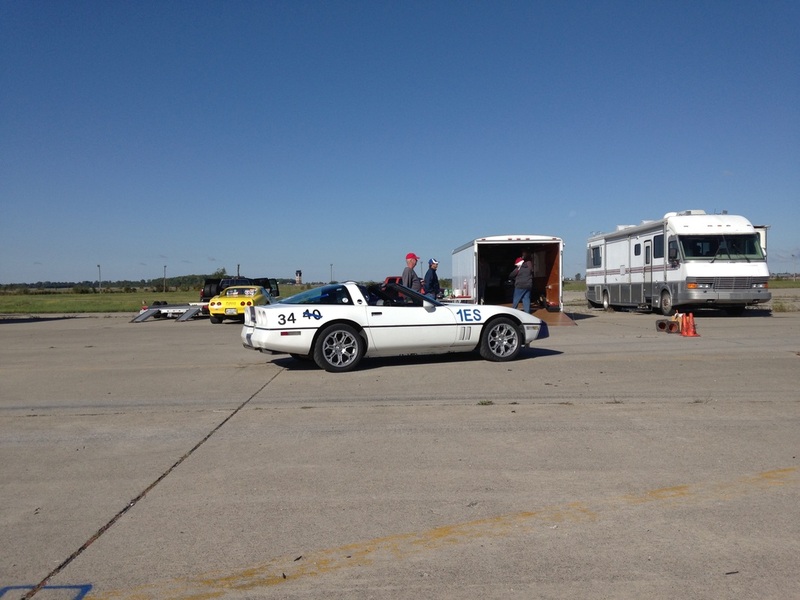 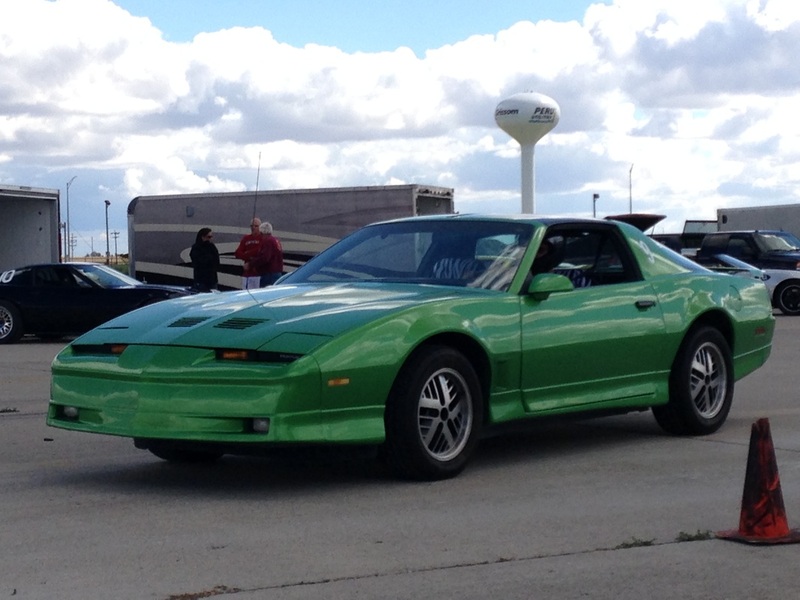 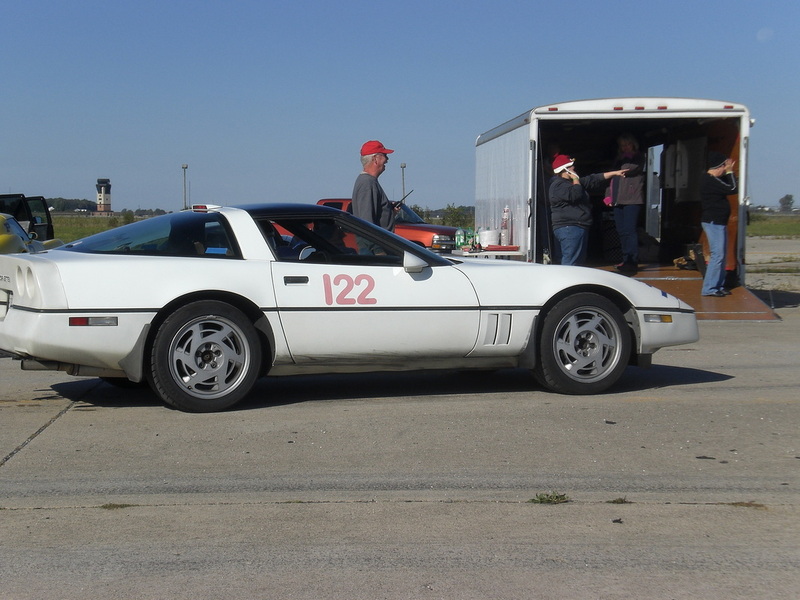 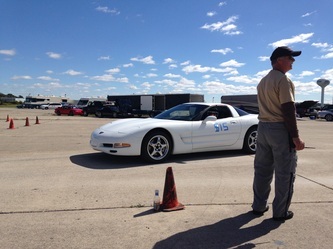 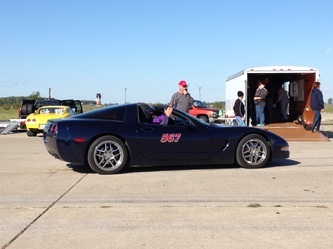 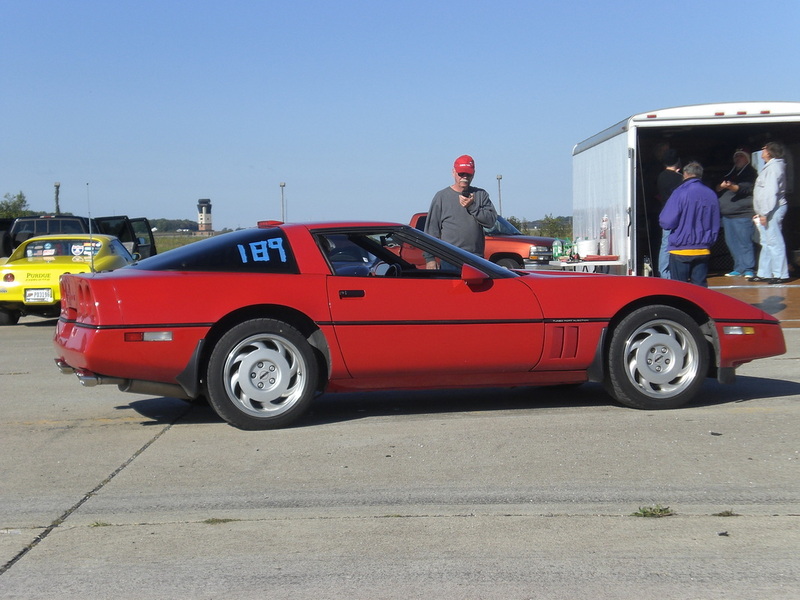 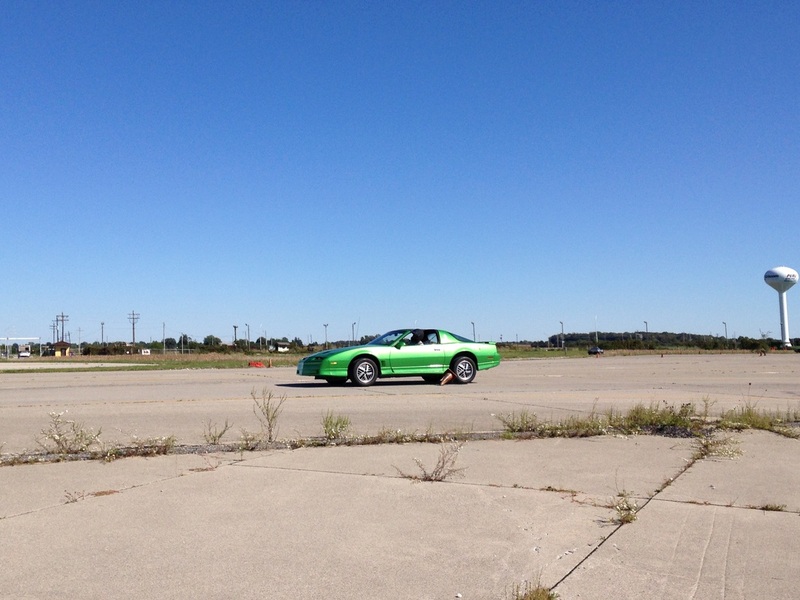 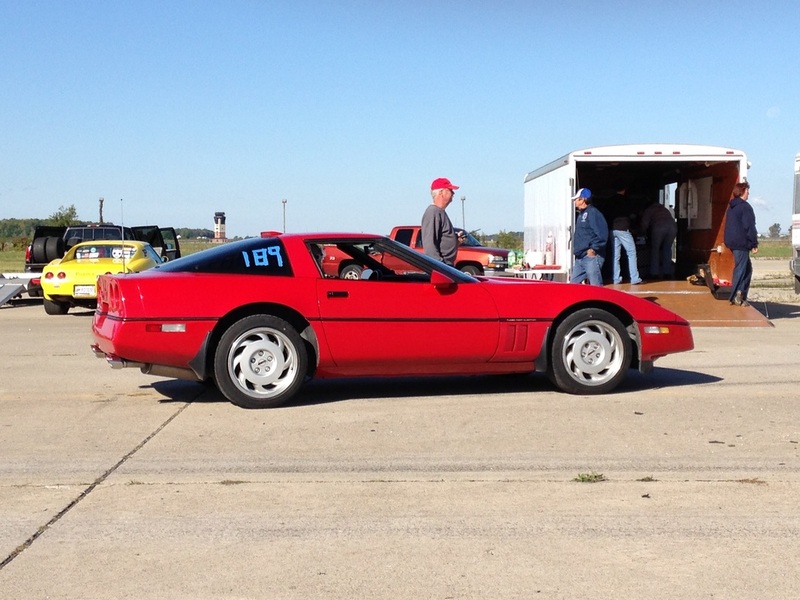 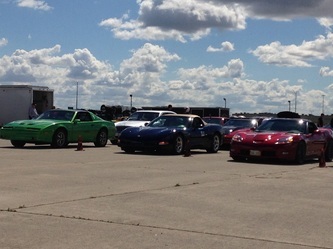 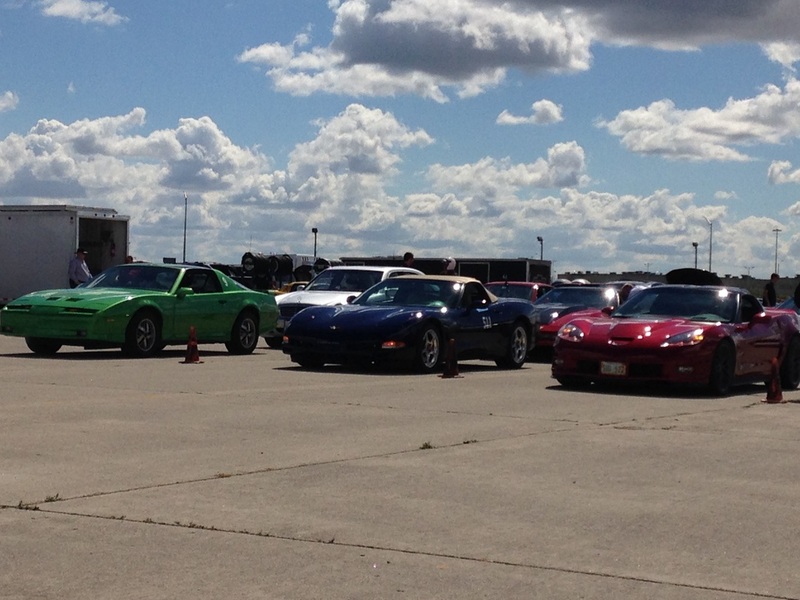 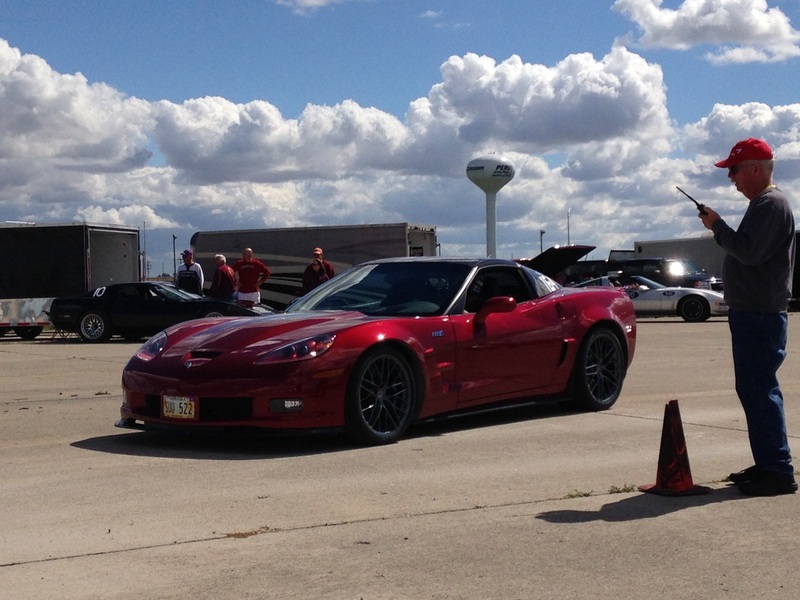 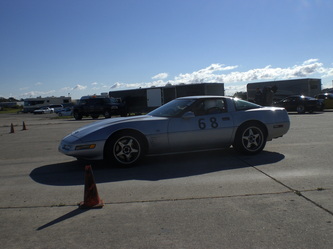 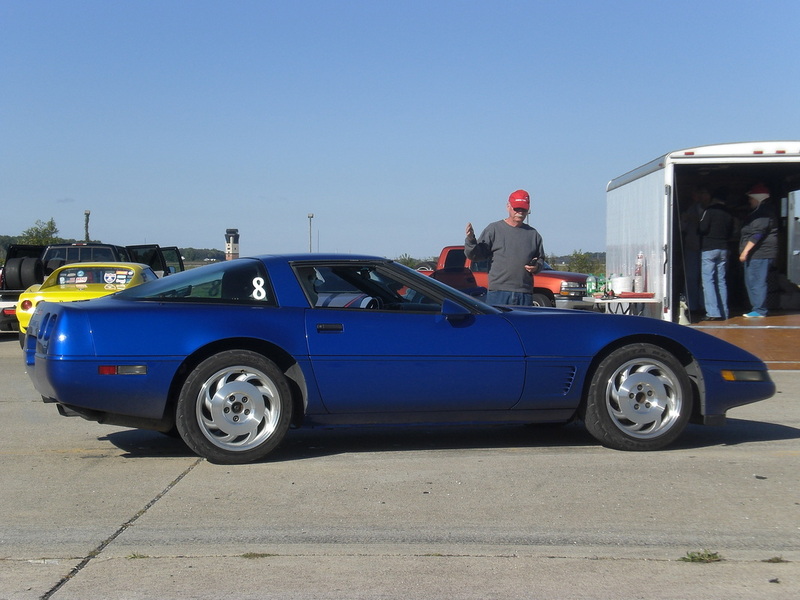 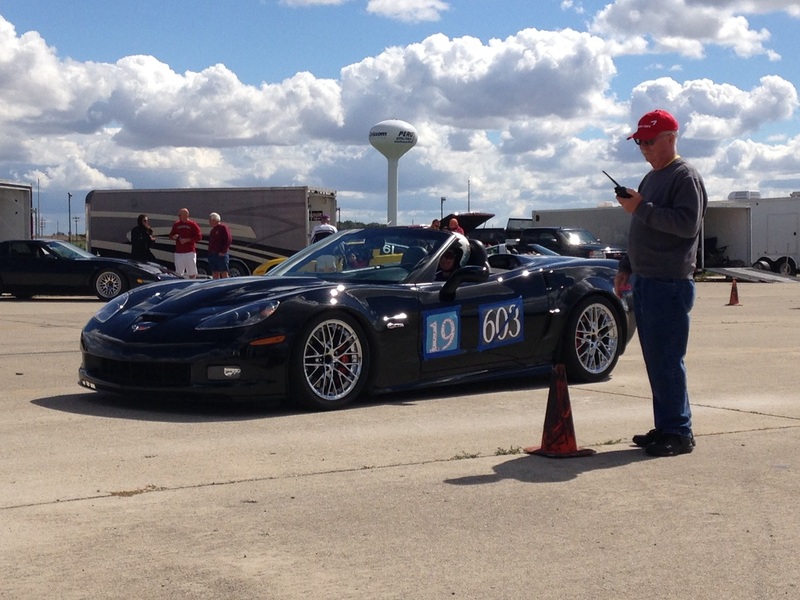 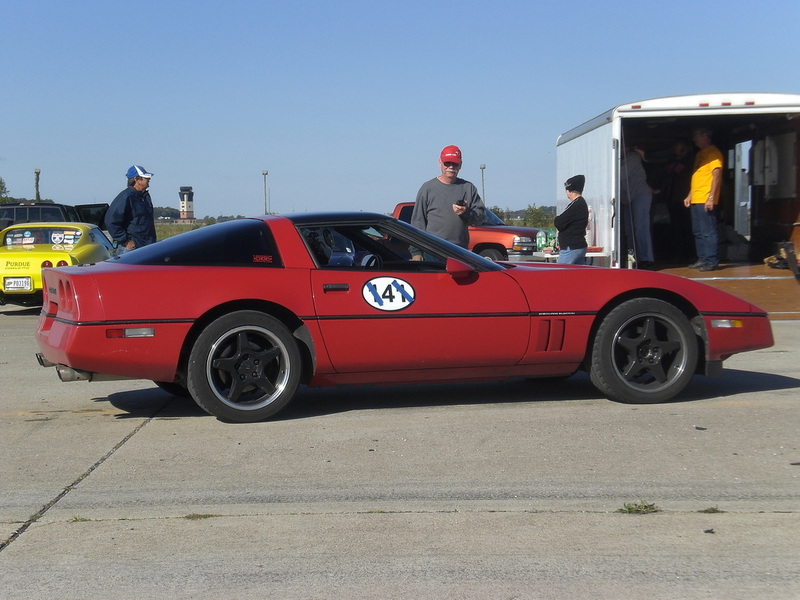 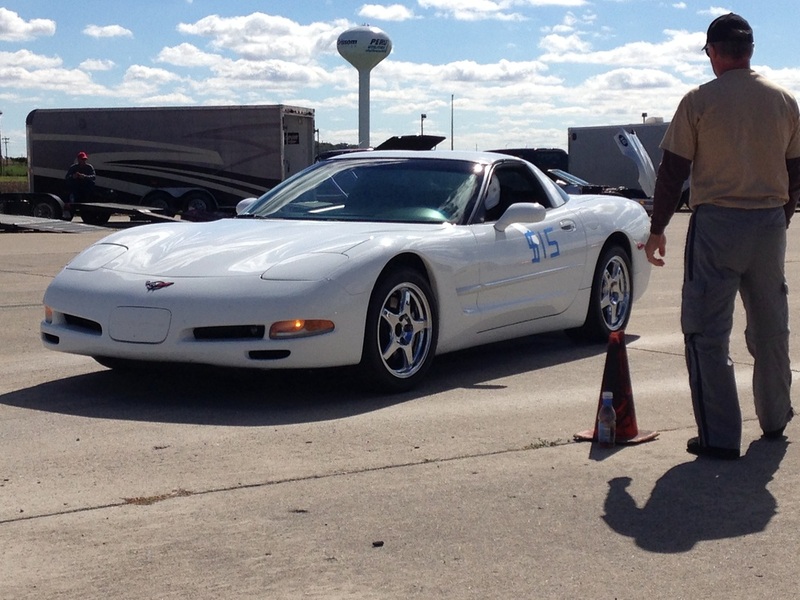 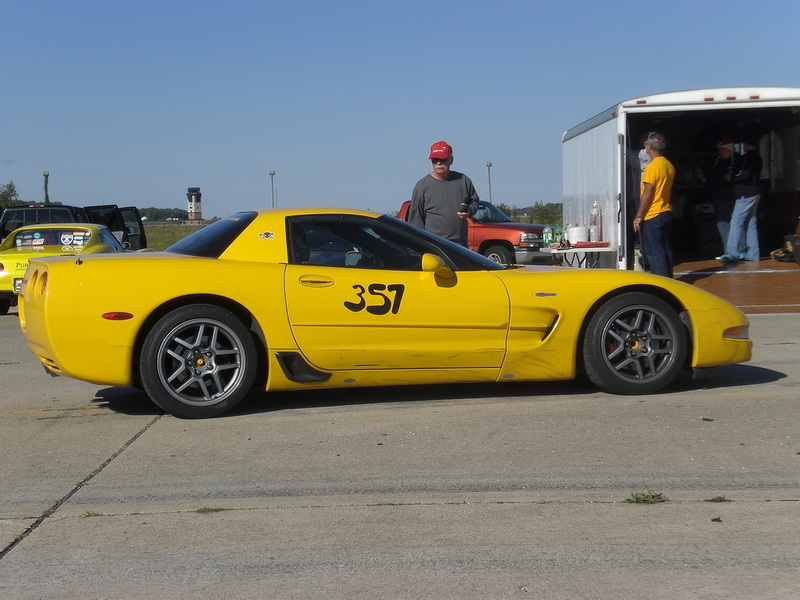 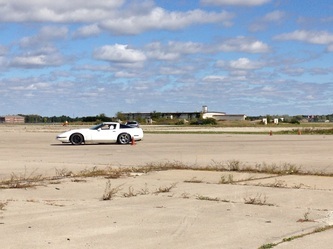 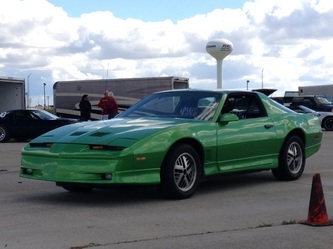 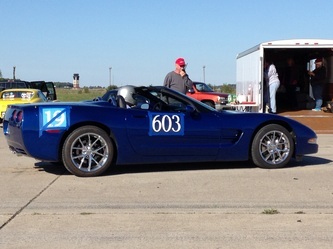 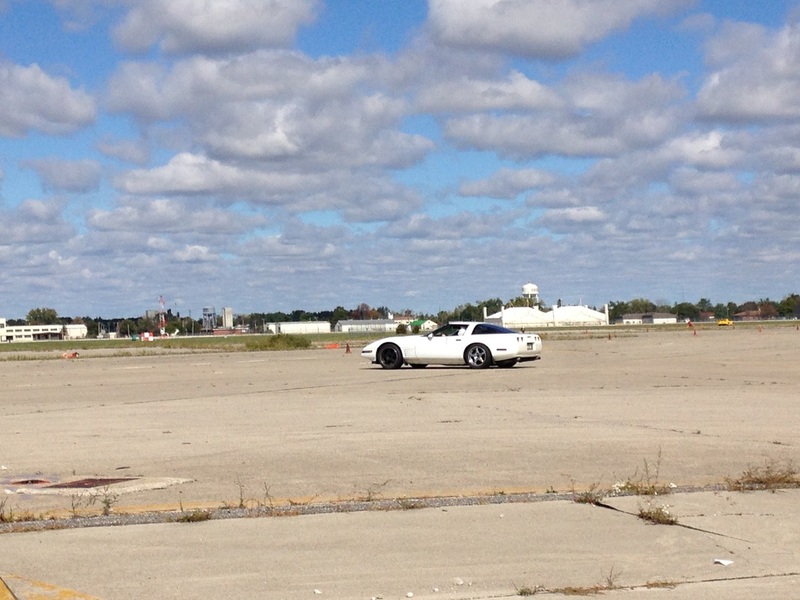 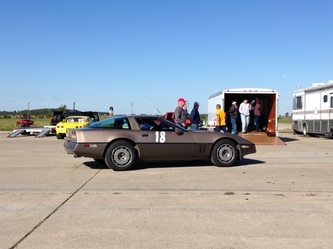 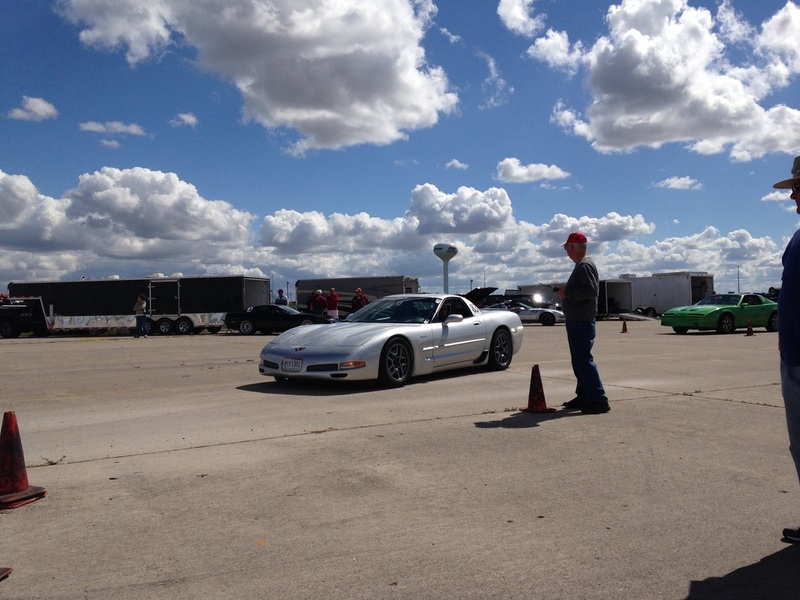 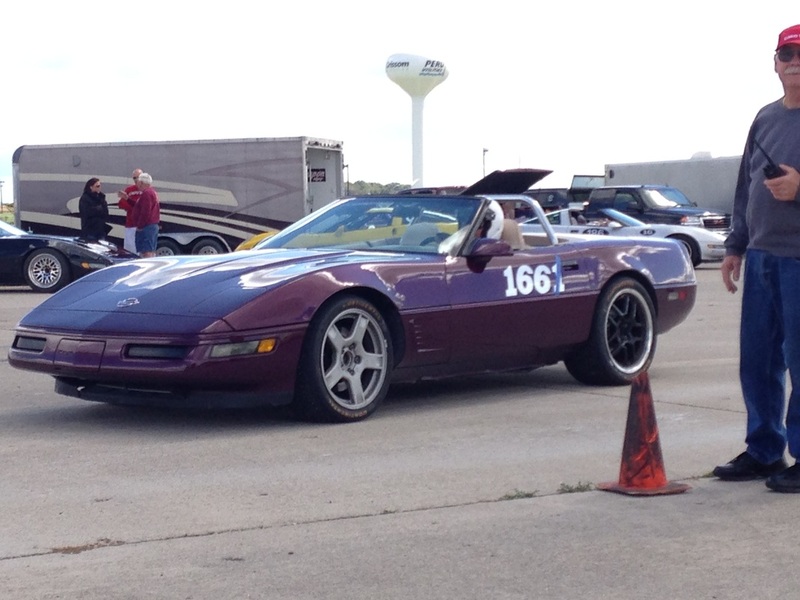 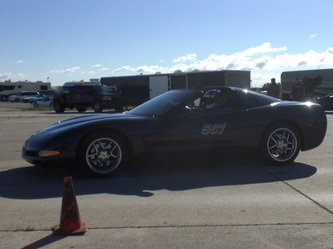 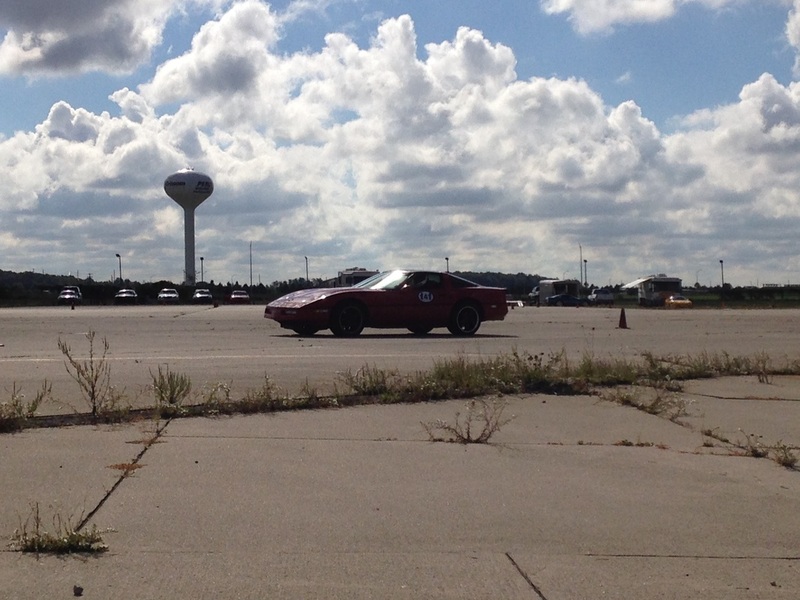 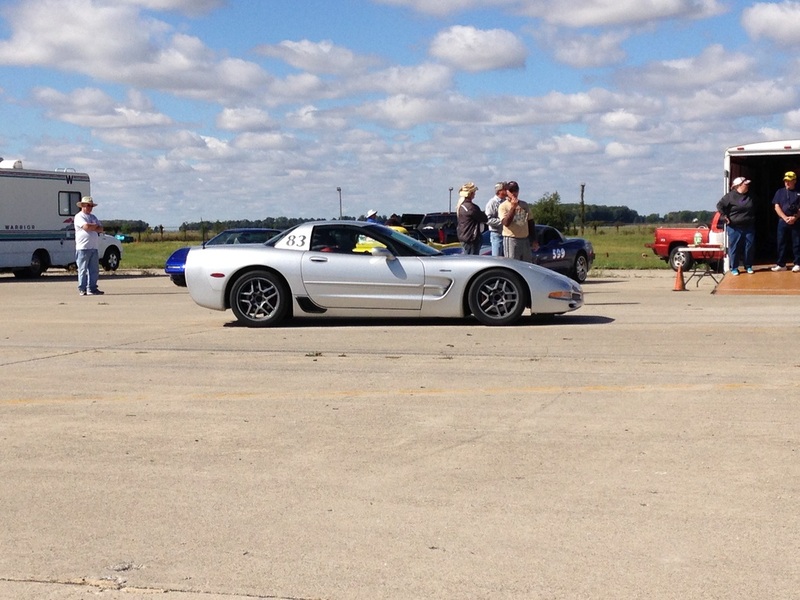 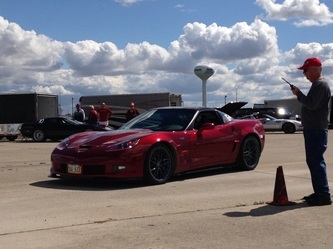 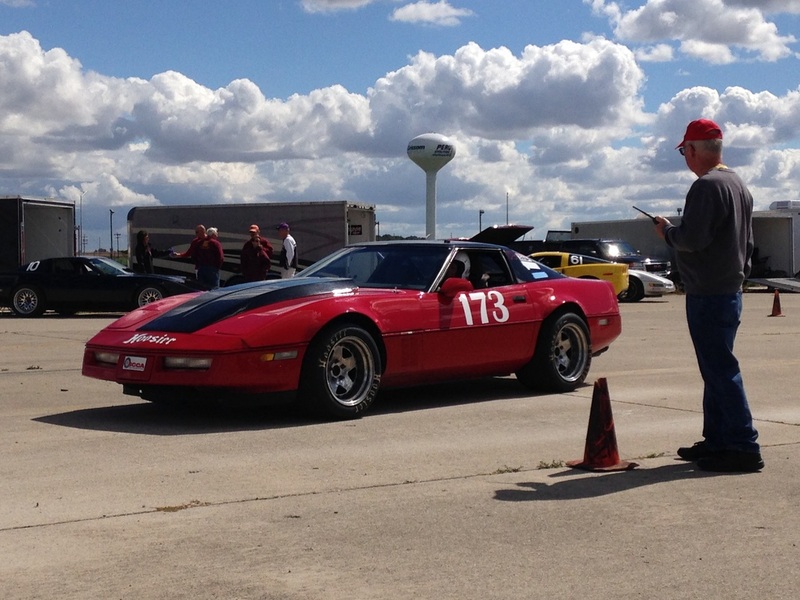 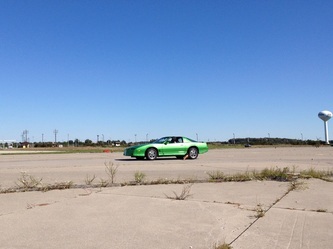 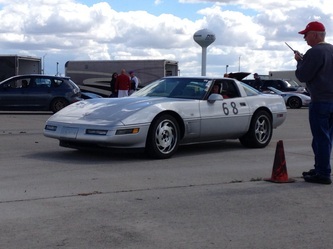 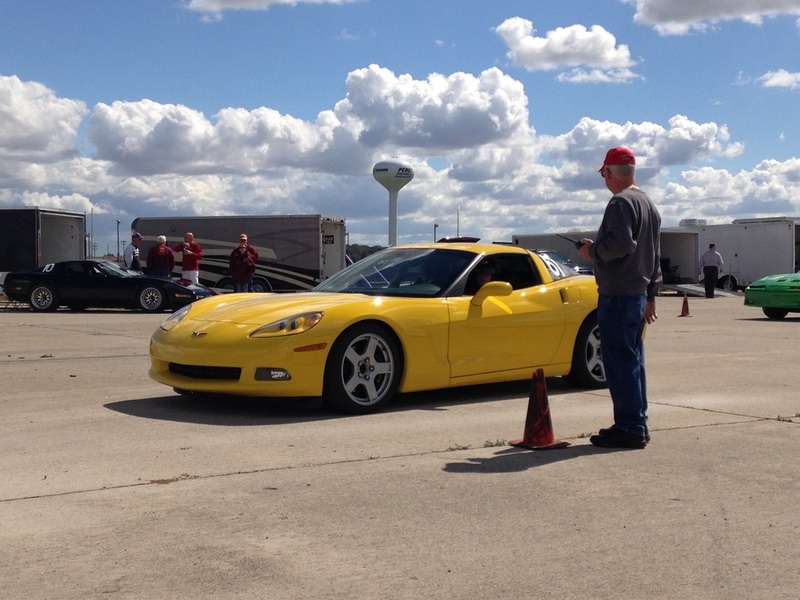 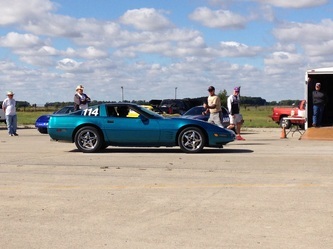 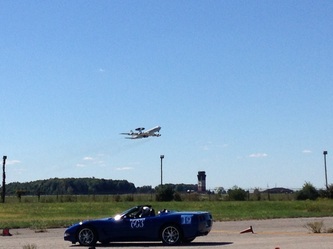 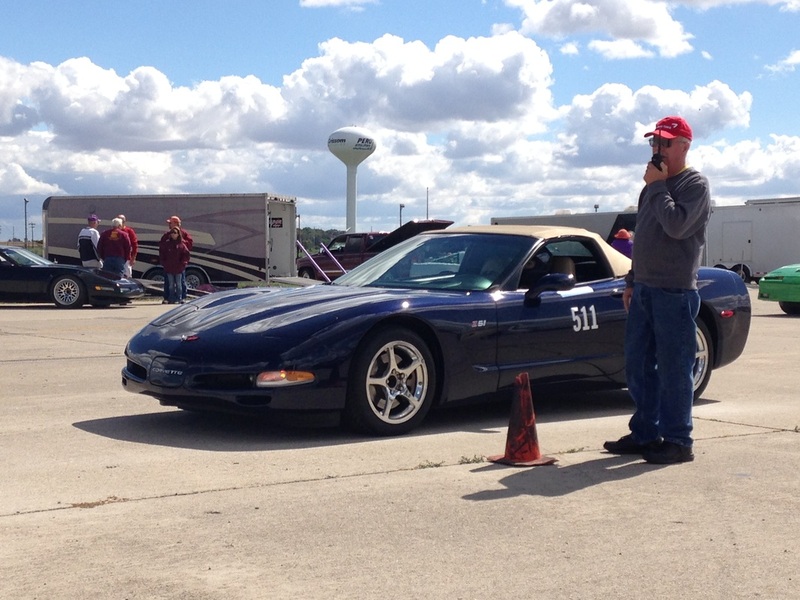 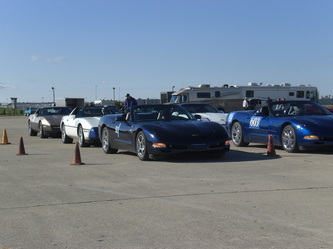 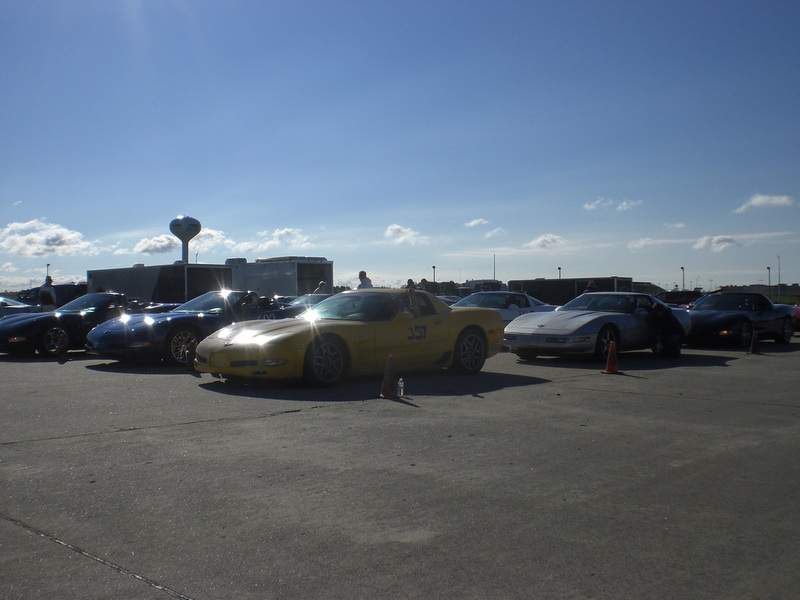 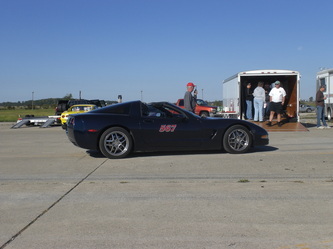 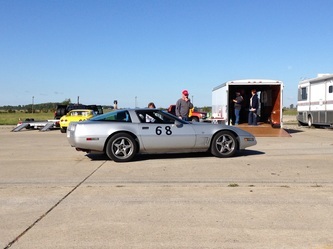 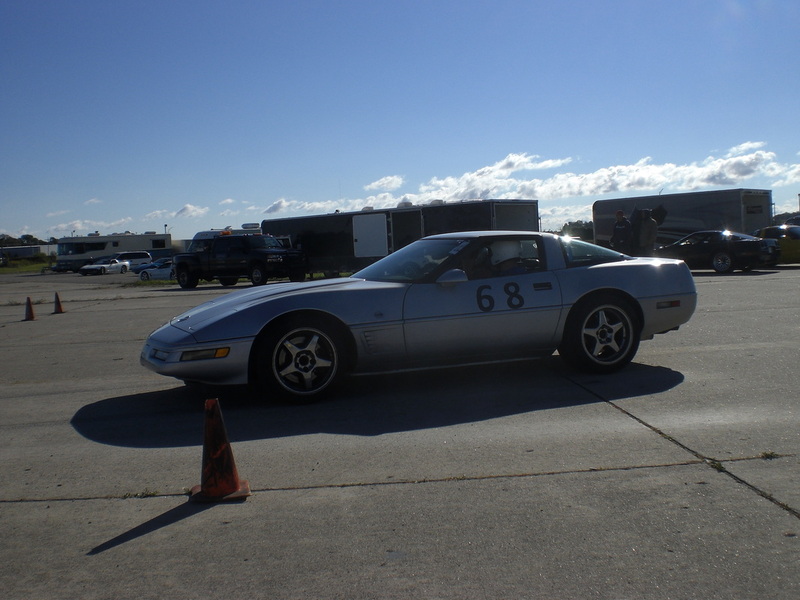 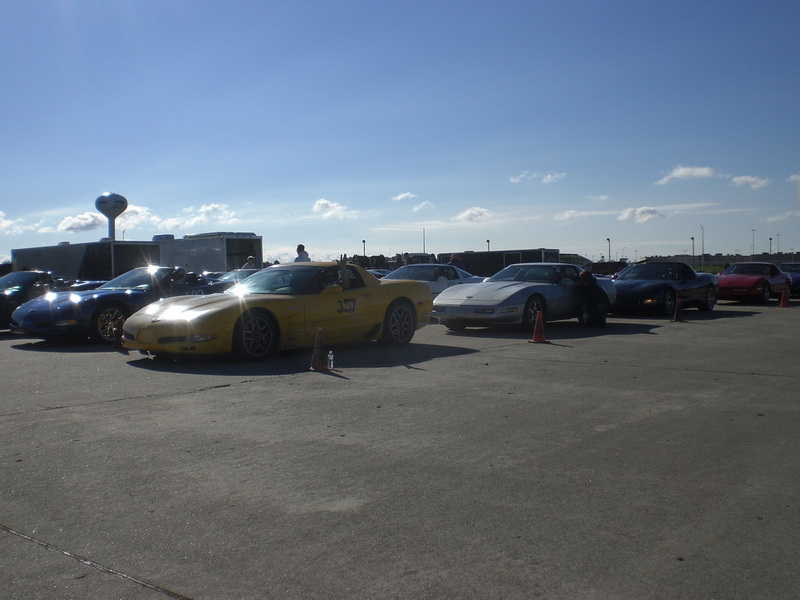 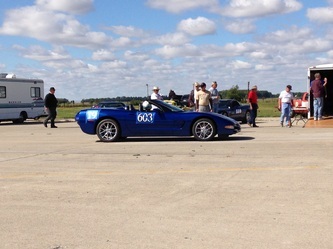 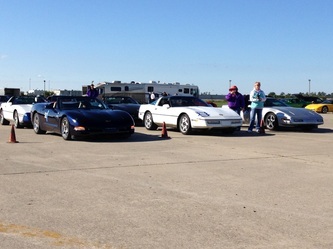 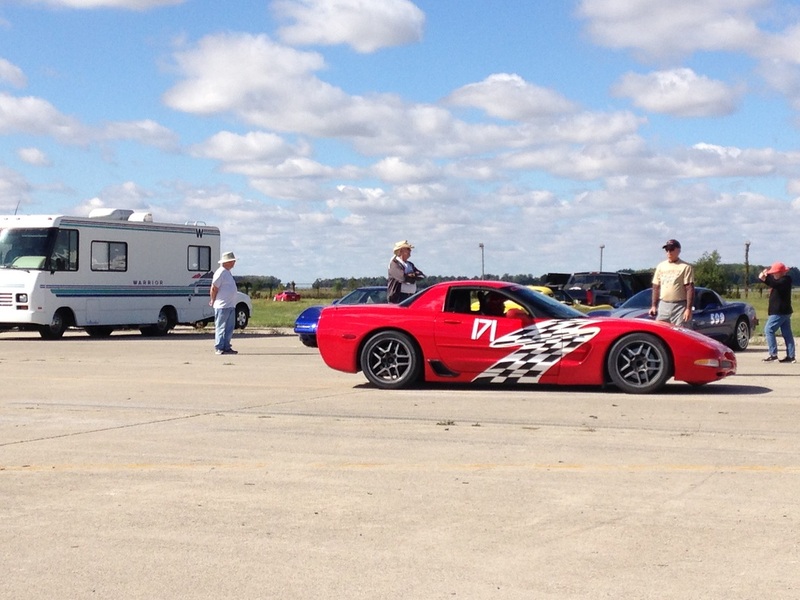 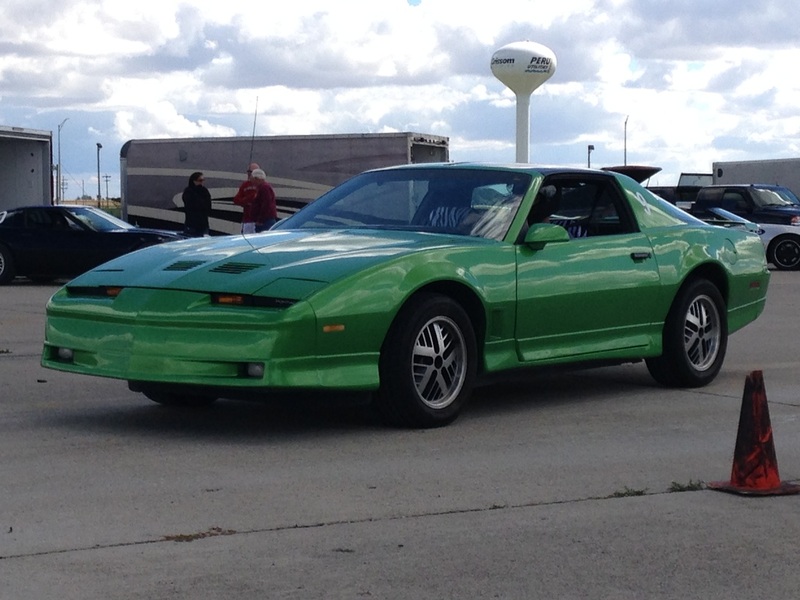 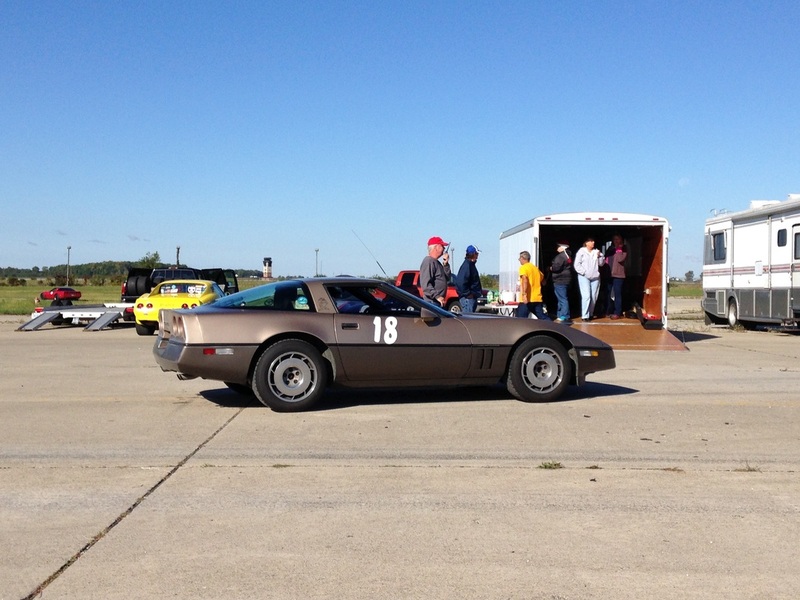 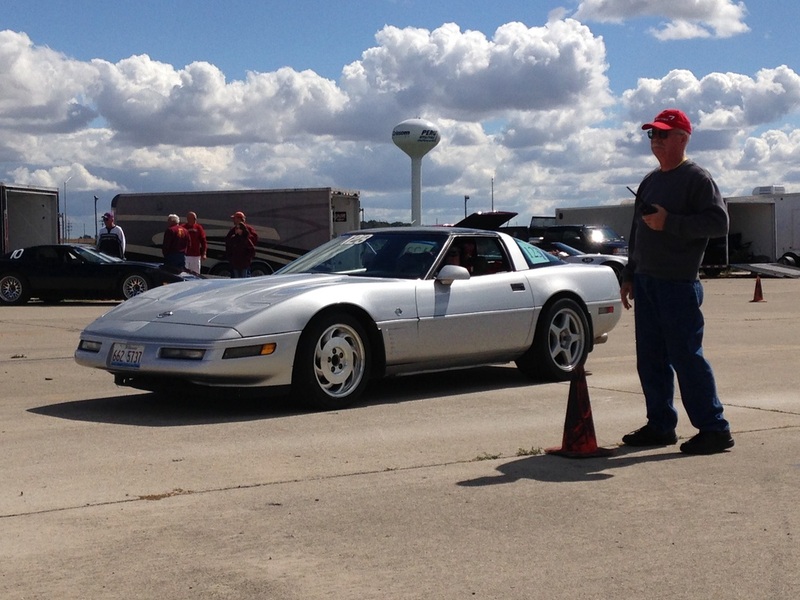 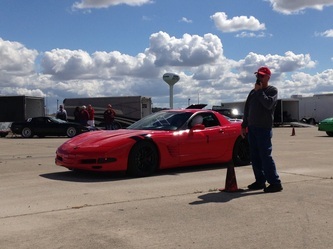 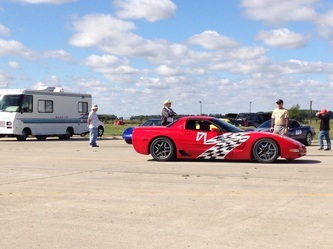 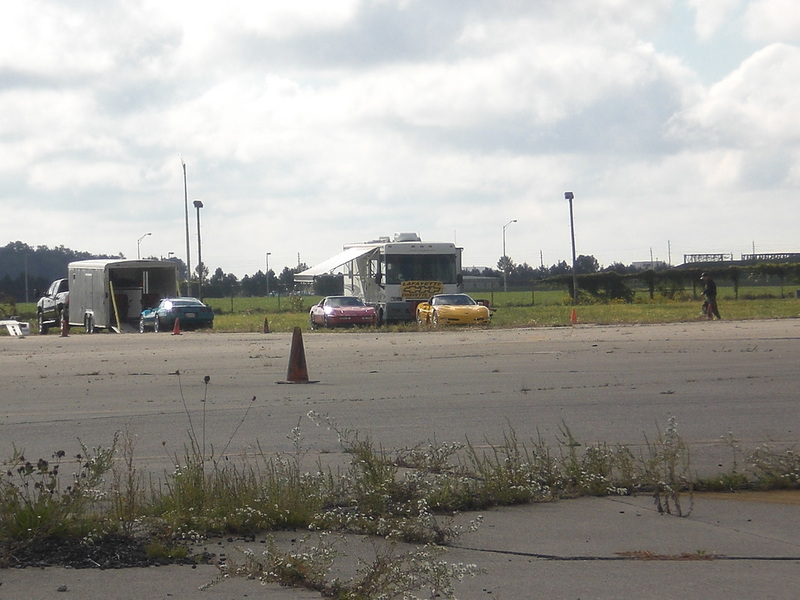 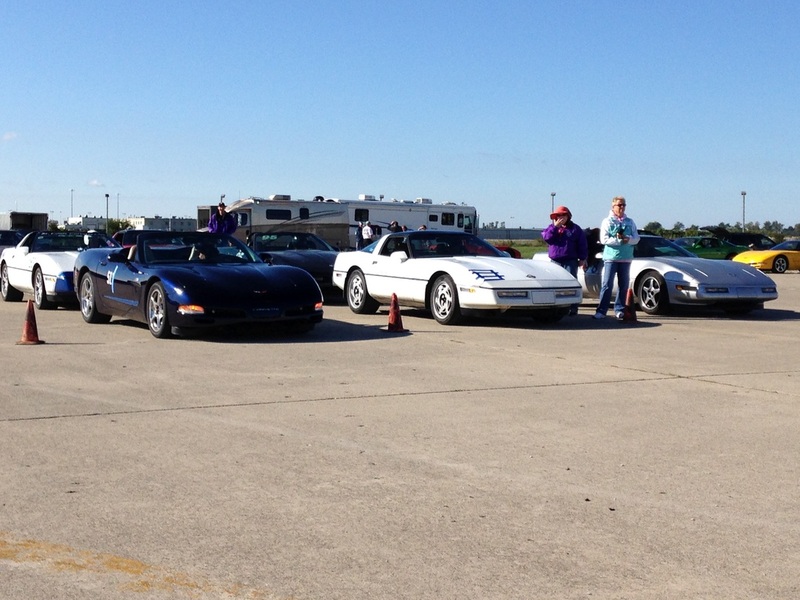 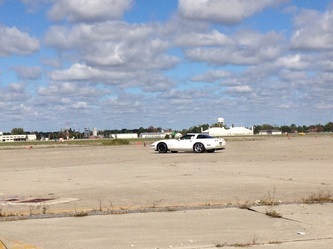 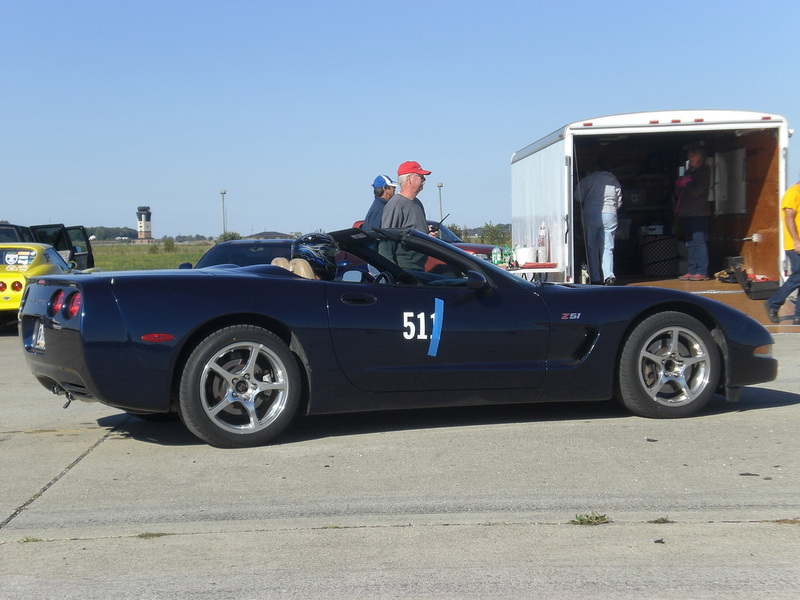 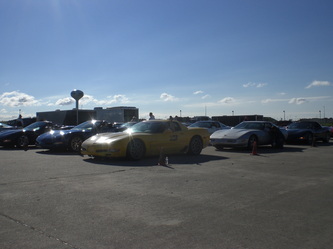 Also thanks to the Everhart's from the Lafayette Corvette Club for the videos of the weekend events.